At the point where where Old Bond Street meets New Bond Street in Mayfair you can share a bench with Winston Churchill and Franklin D. Roosevelt, who have been locked in silent conversation now for more than fifteen years. 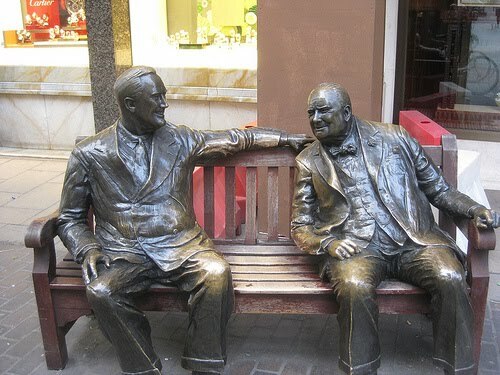 The statue, designed by Lawrence Holofcener, is known as 'Allies', and was given by the Bond Street Association to commemorate 50 years of peace. 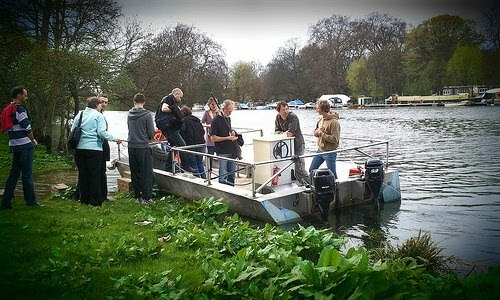 It was unveiled on 2 May 1995 by Princess Margaret. Two people will get married in Central London today. The traditional game of pétanque is big news in France, with many millions of people said to play every year, particularly in summer. 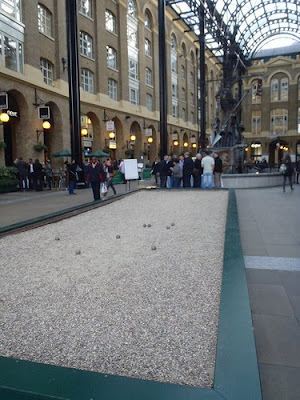 In London, it is less popular, but there are still a few keen players, and one of the most prominent pitches is at Hay's Galleria, in Southwark. This is, we are told, the only permanent pétanque pitch in the area, and is pretty unique in that it is covered, so there is no risk of rain stopping play. The pitch is owned by Ball's Brothers, an upmarket wine bar chain, and is free to hire. If you are particularly good there is also an upcoming opportunity to enter a competition, for on the evening of 10th June, 16 teams will fight it out to become City Pétanque Champions. 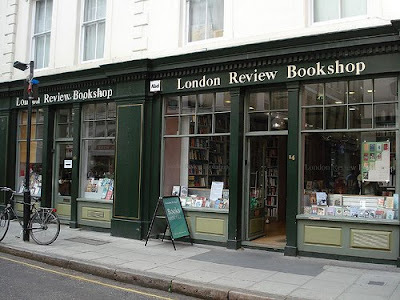 Opened by the London Review of Books in 2003, Bloomsbury's London Review Bookshop claims to offer 20,000 titles, and is a haven for bookish types, with books packed into every nook and cranny over two floors. The shop also offers a range of readings, discussions, talks and debates instore and elsewhere for a fairly reasonable basic price of £7 (with free wine afterwards), and a well-appointed - if a little expensive - neighbouring cake shop, but more of that another day. Thought to be one of the oldest places of Christian worship in England, St Pancras Old Church was rebuilt in 1847 on a site believed to have been home to a Christian church since at least 314 AD. The Victorian structure which stands today apparently contains some remnants of the older church, and both Roman bricks and tiles and Norman masonry have been traced in the North wall of the nave. The tomb of Sir John Soane can be found in the graveyard, along with those of composer Johann Christian Bach, sculptor John Flaxman, and William Franklin, the illegitimate son of Benjamin Franklin. 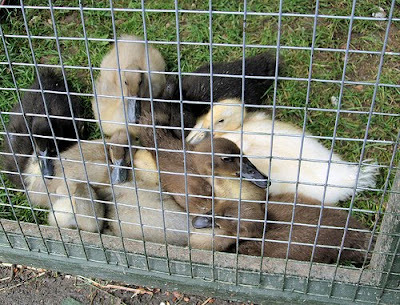 Today is the final day of the Easter egg-stravaganza at the Wildfowl and Wetlands Trust, Barnes, with the Trust inviting visitors to see their duckling displaysand follow the progress of 'real-life Easter eggs'. April, we are told, is the time when wild ducklings start to hatch, and the Trust allows young and old to learn about them and see them taking their first swim in their very own pool, with wardens on hand to explain how the ducklings have developed and about their behaviour and habitats. 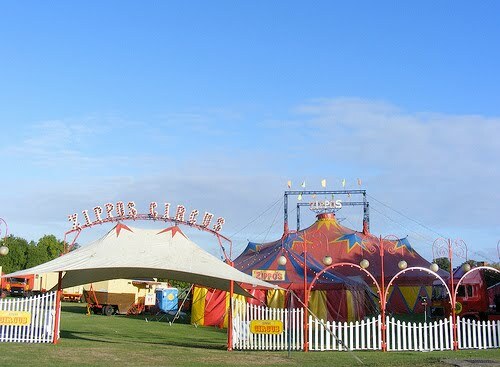 This weekend, Zippos Circus brings its new 'Horsepower' show to Blackheath, under the direction of legendary ringmaster Norman Barrett, who was last year awarded an MBE for more than 60 years in the ring. We are told that Horsepower is a brand new act, mixing three new equestrian acts, featuring equestrian presenter Yasmine Smart, grand-daughter of the legendary Billy Smart, with the the metaphorical horsepower of motorbikes. The circus has been running since 1986, and continues to attract punters as it travels around the country. Adult tickets are between £7 and £18, and Zippos will be at Blackheath until May 3rd, before moving on to Sidcup, East Ham, Mile End and Wallington, all before the end of May. If you're an Englishman, and you're feeling suitably patriotic this afternoon but not feeling like the pub, there is good news. Trafalgar Square is hosting a concert to celebrate the day of our patron saint. 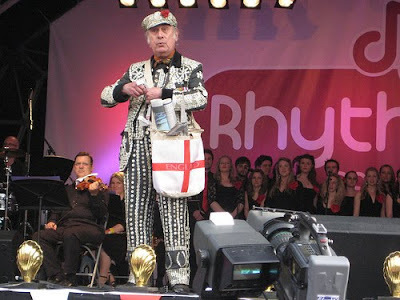 The day features World in Motion drummers, opera tenors, West End stars, young musicians playing classical, gospel, big band and pop, and the best of buskers from around London. There are also to be tunes from folk guitarist and former Green Day tribute band member, Newton Faulkner. It's Holy Week, and today is Good Friday. 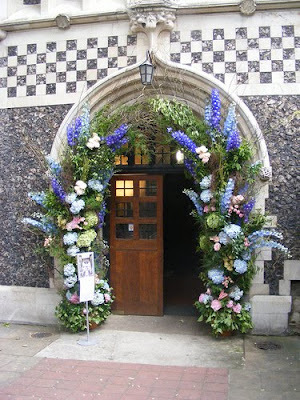 Whilst your author is not religious, he does like to have a look at the interesting religious ceremonies in London, and today at 11.30am the parishioners of St Bartholomew the Great, West Smithfield, take part in the Distribution of the Butterworth Charity. The ceremony marks a custom of giving 6d to twenty one of the poorest widows of the parish and of giving buttered hot cross buns to the children who attended. It takes its name from Joshua Whitehead Butterworth, a Victorian antiquarian from a family of law publishers, who created a charity to continue the custom. 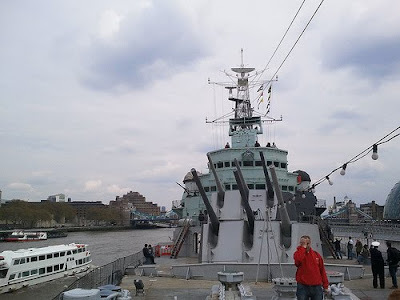 Upon recovery from a rather debilitating hangover last Friday, your author was persuaded out of the house to finally tour HMS Belfast, the Second World War large light cruiser which is moored up a stones throw from Tower Bridge. It was a good idea to go, because the ship is fascinating. Originally built in Belfast and launched in 1938, it remained key to the Royal Navy until 1963, famously protecting the Arctic convoys to the Soviet Union, but also taking part in Operation Overlord to support the Normandy landings, serving with the British Pacific Fleet, and taking part in combat action during the Korean War. The HMS Belfast story is told through helpful guides, first hand accounts of those who served on it, and a chance to poke around the various cabins and engine rooms to try to understand what life was like aboard. We are told that it was a rather happy ship, where crew were more at ease with each other, and that it even had a special bridge to allow it to carry an Admiral, who could direct the entire fleet without getting in the way of the Captain. 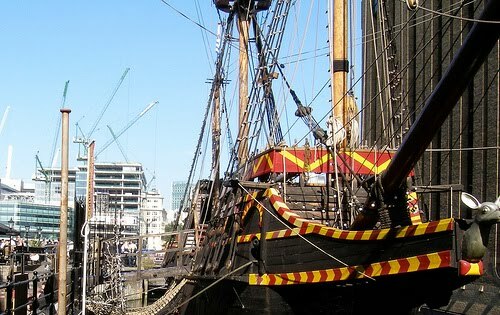 The ship was saved from destruction and towed to London in 1971, where it opened as a museum on Trafalgar Day, 21 October. It was transferred to the Imperial War Museum in 1978, and they operate it to this day, currently charging visitors £13.50 to have a look round, which seems fair enough. 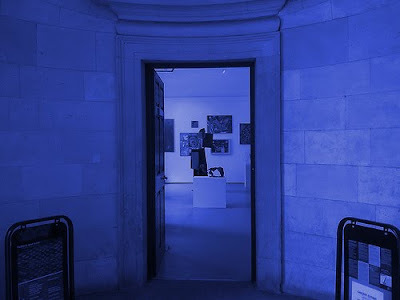 The Orleans House Gallery is Richmond Borough's municipal art gallery. 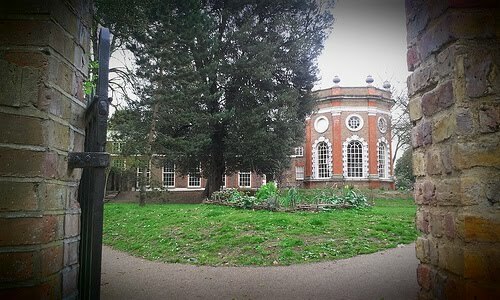 It is based in what remains of Orleans House, built in the 18th century, by Secretary of State for Scotland James Johnston. The house was owned by various members of the establishment through the ages, and was also rented by Louis Philippe Duc d’Orleans, who later became King of France, whilst he was exiled from France. Today, the Gallery occupies a wing off the house's famous Octagon, which is available as a wedding venue, and also the 19th century stable block to the rear of the house. The rest of the buildings were demolished in 1926. 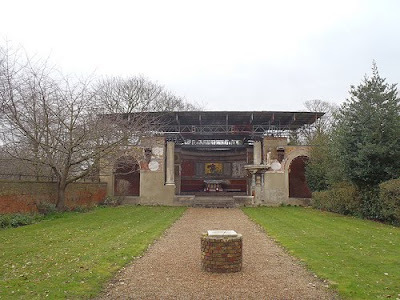 The remains were bought by a Mrs Levy, who later became Mrs Nellie Ionides, who was an avid collector and subsequently, when she died in 1962, she left the property and her art to the Borough. Richmond now hosts five temporary exhibitions a year in the main gallery and seven contemporary and community exhibitions a year in the stables, attracting over 56,000 visitors a year. 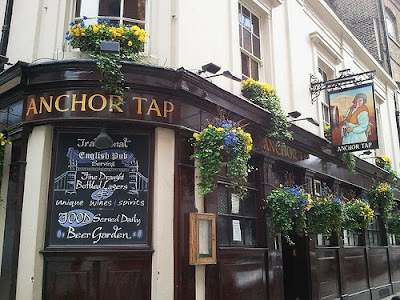 There are many reasons your author should have mentioned the Anchor Tap, a short walk from Tower Bridge, before. It is a great little Sam Smiths pub, with various cosy little rooms, a beer garden, plentiful bar games and Humphrey Smith's trademark attention to pub interior detail. Previously, the pub was apparently synonymous with the Courage Brewery, having first been acquired by John Courage, the brewer, in 1787, and remaining the base of their operations until 1981, when the Anchor Brewery finally closed. When the Brewery was running, the pub was the place where brewery employees came to drink the fruits of their labour, and that's perhaps why it's such a comfortable place. Your author also feels somewhat duty-bound to correct misleading articles elsewhere which suggest this was where Samuel Johnson had a room to formulate his dictionary. It seems much more likely that that was the Anchor further up the South Bank, which Ed Glinert confirms was owned by Johnson's friends Henry and Hestor Thrale. So, you shouldn't believe everything you read on the internet. For more on the Anchor Tap, try here. 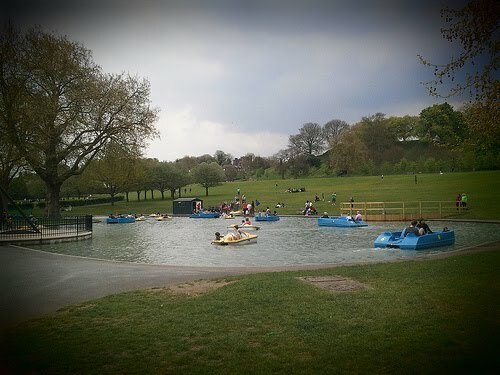 If you're off to support a loved-one in the marathon this morning, and looking for a quick distraction while they run the Woolwich bit, you might consider hiring a pedalo in Greenwich Park. Sure they're a bit large for the pond, but next year the pond will become a water jump for the Olympic horse prancing which will take place in the park, and will be lost for an uncertain amount of time. For more, click here, or to read very sketchy details about the Olympic plan for the park, click here. Your author likes pubs, but one of his golden rules is that a good pub is one that allows dogs and forbids children. However, it takes all sorts, so let's take a look at one pub which makes a point of embracing the shouty little people with open arms. The Herne Tavern, in the heart of the East Dulwich breeding area, opened in September 2006, and was set up by the same people who run The Palmerston on Lordship Lane. Presumably the plan was to keep all the running-about-and-screaming out of the Palmerston whilst allowing tired parents to see their friends for a couple of hours, and it does seem to work. 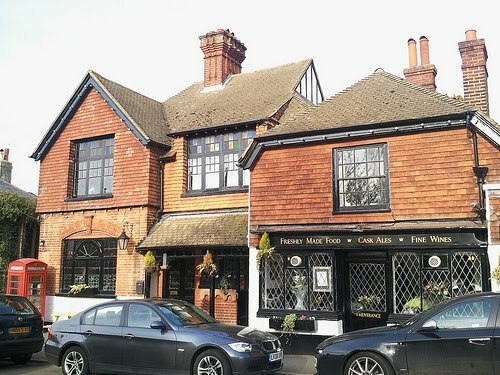 The pub offers a nice playground area and plenty of outside space, and it has received great reviews in Time Out, The Observer and The Independent, which either means it is very good, or it means that journalists from Time Out, The Observer and The Independent live round here and have kids. For a childless twenty-something on a Sunday afternoon, it is probably best avoided, however, even though it is pretty and the beer is good. St George's Chapel, on Repository Road in Woolwich, was the official chapel of the Royal Artillery Company from its construction in 1863. Originally commissioned directly by Secretary of State for War, Sir Sidney Herbert, it was built to designs by the prolific Irish British Ecclesiastical Architect, Thomas Henry Wyatt. However, on 13th July 1944, it was hit by a V1 flying bomb and to this day, only some walls and the apse recess above the altar remains, and still holds the regimental Victoria Cross Memorial. There is, sadly, no roof, and this has led to some damage of the remaining mosaics, which efforts are ongoing to try to protect. Whilst the house is now part of the rather grand council offices of the London Borough of Richmond, the gardens of 17th century York House, in Twickenham are a lovely spot for a wander. The house has had many owners during its time, but perhaps the most famous was the Indian industrialist Sir Ratan Tata, who owned it from 1906 until his death. We are told that Sir Rantan's flourishes can still be seen today, including a sunken lawn to the rear of the house, a sea nymph statuary near the riverside and the restored Japanese garden. It was acquired by the council in 1926, and though many of the administrative staff have moved to boring municipal buildings in the surrounding area. 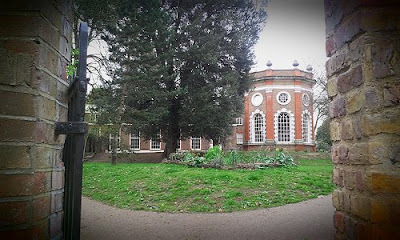 Following restoration work, the council still retains the house and it is used as a venue for weddings and other events. Whilst red TfL buses stop outside the Queen's Head, in the small Kentish village of Downe, and it is technically part of Greater London - sitting just inside the M25 - its atmosphere couldn't be further away from the hustle and bustle of central London. The village which was once home to Charles Darwin has changed little over the last 100 years, and the Queens Head dates back much further, to 1565 when it was named in honour of Queen Elizabeth I, following her visit to the village in 1559. 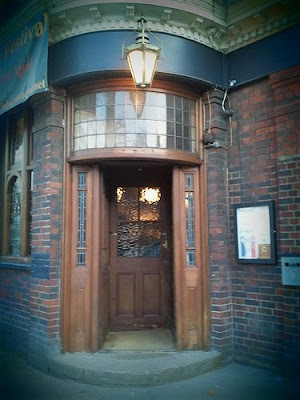 The pub has three bars, all with local connections, and the inevitable Darwin Bar, where your author drank, is complemented by an Eagle Bar taking its name from a Second World War squadron based out of Biggin Hill, and the Suhaili Bar, named after the boat of local boy Robin Knox Johnston. It's a bit of a trek from the nearest station, but it's a beautiful bike ride if you are so inclined, and there is plenty to see and do in the area. Last Friday, the Southbank Centre opened its new shop on Festival Terrace, the shopping arcade that links Hungerford Bridge with the walkway towards Waterloo. 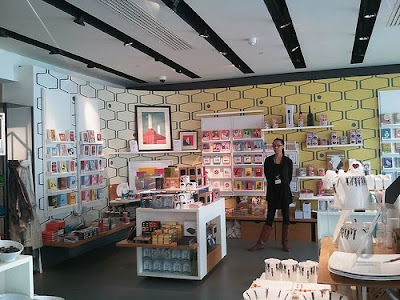 They have teamed up with Deptford's Cockpit Arts to offer a range of products, alongside others from various producers with a welcome focus on London and the centre itself. 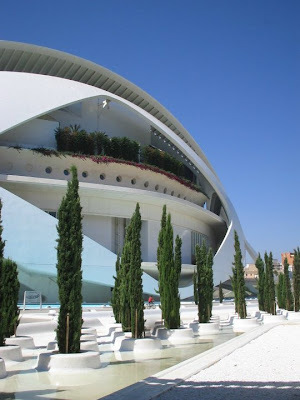 Your author isn't a massive shopper, but one type of shop he always has time for museum and gallery shops of this type, especially in a period when reductions in Government spending mean that some institutions are looking to maximise other sources of revenue. At the moment the shop also has small displays focusing on some predictably awful Royal Wedding tat, but also some specialist merchandise to celebrate the 60th Anniversary of the Festival of Britain, which is this year and is probably more worthy of celebration. We recently looked at the ruins of Lesnes Abbey, and the woodland on the hill above the ruins is lovely at this time of year, and is a designated Site of Special Scientific Interest. 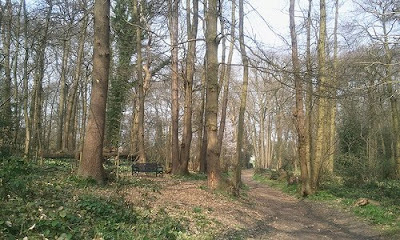 An area of ancient woodland, more recently an attraction for Edwardian day trippers, the woods apparently have some features dating back to the Bronze Age. At 217 acres, features include includes ponds, a fossil bed, a chalk pit and nearby grassy meadows and heathland. 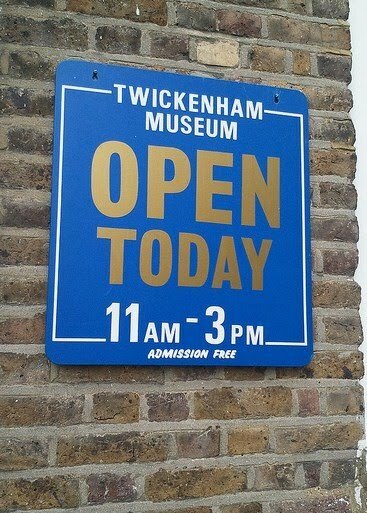 Another of London's fascinating little neighbourhood museums, the Twickenham Museum examines the history of the Thames-side Twickenham, Whitton, Teddington and the Hamptons over thousands of years. 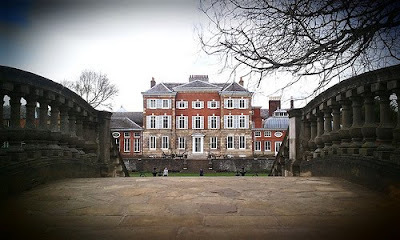 It is housed in a Grade II Listed building at 25 The Embankment, Twickenham. 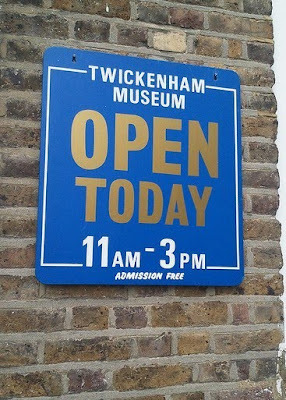 Though the first museum was planned for Twickenham over a hundred and fifty years ago, and a various volunteer-staffed museums have popped up, with one set up by a member of the Twining tea family in the 19th century, and another closing in 1939 at the outbreak of the Second World War, the latest museum did not come into being until the early 1990s, as a charity. Today, the free museum charts the famous people of the area in various different categories from writes and poets to sailors and soldiers, and exhibits a range of artefacts and photograph associated with the area. Whilst your author isn't sure they're quite accurate in describing themselves as 'one of London's...last remaining second-hand bookshops', the Bookshop on the Heath, in Blackheath, is certainly a gem, and should not be missed. Any bookshop that, in the modern bookselling climate, sets a blanket price for paperbacks of £1.80 (or three for £5), and bravely holds out against the new big boy of second hand books, the Oxfam, selling books just a couple of doors down is a special place, but its the old and rare books which are really interesting at the Bookshop on the Heath. The only problem with a bookshop like this is that it drives your author to buy books faster than he can read them, so he will have to ration the number of trips in future. 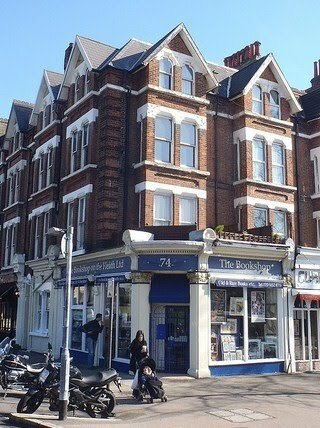 That said, the reasonable price structure, and the obvious passion with which owners Jasmine and Richard Platt run this little family shop is very special, so maybe a trip to the bookshelf shop is more appropriate. An interesting little market, which is so much part of Shepherds Bush that they even renamed a tube station after it, the Shepherds Bush Market runs six days a week and offers an opportunity to acquire a huge array of things. 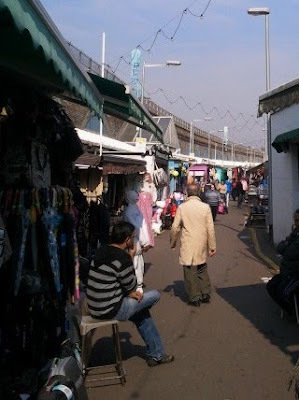 The market dates from the early twentieth century, and has traditionally served the local Irish and Afro-Caribbean communities, which, when combined with the Somali, Syrian, Lebanese, Iranian, Indian, Pakistani and Bangladeshi communities who also call the area home, means that a wide range of produce is available. Recently, the market has been threatened with demolition as part of an ominous redevelopment project which is presumably designed to turn all of Shepherds Bush into the Westfield Centre, but for now it remains just the same as ever. For more information, click here and scroll down a bit. Down in Orpington, just inside this website's M25 boundary, they have the remains of their own Roman Villa, saved in 1988 after many years of uncertainty. When the villa was rediscovered by railway workmen in 1926, its north-eastern portion had already been destroyed by railway works in the 19th century, but it is still easy to imagine how it might have looked, and the remains are now enclosed and open to the public. 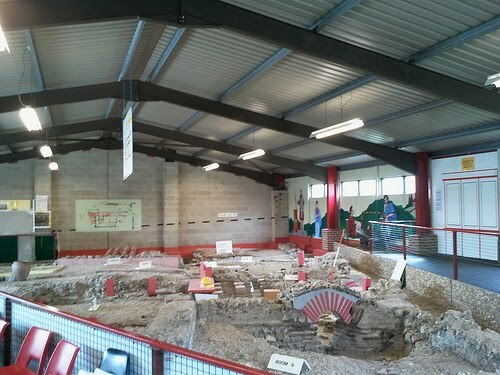 Back when the surrounding areas were nothing but rolling countryside, in AD 140 to 400, the villa was possibly the home of a Roman soldier, or a Romanised Englishman made good, and sat at the heart of a farming estate of hundreds of acres. Nowadays, it sits in a concrete barn between Orpington Station and an accountant's office, but all credit should go to the local volunteers who run it today and the Kent Archaeological Rescue Unit, whose work in the 1980s helped to save the villa from disappearing under a fancy new car park. Your author has recently acquired a temporary share in a lovely garden, and is learning how important it is to know where your nearest garden centre is. This is why today's post is about the Syon Park Garden Centre, a particularly good example in West London. 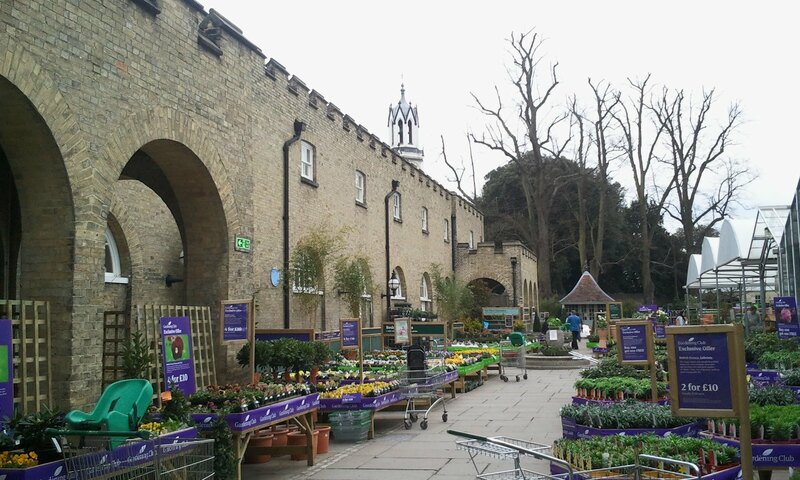 Built around the sixteenth century stable blocks and barns of Syon Park, the estate of the Dukes of Northumberland between Isleworth and Brentford, the Garden Centre was opened by the Queen in 1968. This was, we are told, the first modern garden centre, and led the way for the many hundreds which blight our sundays to this day, but they are a necessary evil if we are to have pretty gardens to sit out in. The Syon Park Garden Centre is open every day, and stays open until 7pm Monday to Saturday, presumably so you can go after work and have time for planting at weekends. For more, click here. 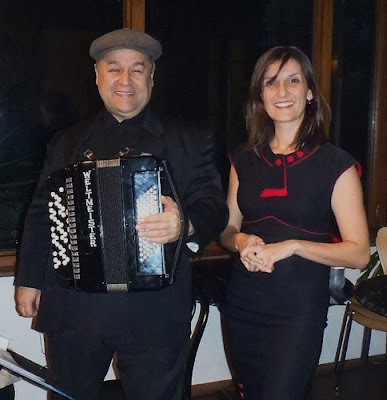 Some readers may remember friends of the blog, Alexandra Carter and Serge Pachnine, who brought their fantastic music to the Tired of London, Tired of Life second birthday party in October. They are back on the road again this week for their “A Proper Cup of Coffee” Cafe Concert Tour, playing coffee-themed shows in cafes around London. Today they're clocking up three gigs at the Sugahill Cafe in Sydenham, the Pavilion Cafe in Dulwich Park, and at Good Taste Food in Crystal Palace. The gigs are for UK Coffee Week, and are helping to raise funds for Project Waterfall, the weeks charitable arm, which aims to raise £1 million for water and sanitation projects around the world. If Alex and Serge don't keel over from exhaustion first they will end their thirteen-date tour with three special shows on Saturday for London Coffee Festival. Established in 1909 by Walter Hammerton, a local chap who had set up a business hiring out boats on the river, Hammerton's Ferry is still running today, offering walkers and cyclists a way to cross the river between Orleans Road in Twickenham and Ham House in Richmond. Now operated by Francis and Jenny Spencer, who acquired the business seven years ago, the ferry operates daily from 1st March until 31st October, and on weekends during the winter, weather permitting. Whilst today the ferry uses a modern boat, built in 1997, Hammerton's original skiff is still on display in the Museum of Docklands. 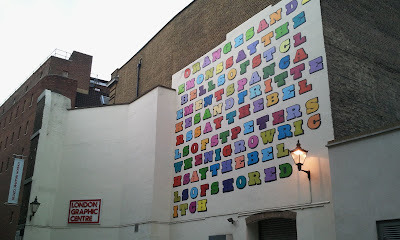 This isn't a street art blog, but when it comes to Ben Eine's pretty letters, your author has been known to dabble. That's why he was so pleased to hear from those clever folks over at Londonist earlier this week that there are some new ones out, and they spell out a London rhyme. Sadly, however, the work is temporary, and will remain on the walls of the London Graphic Centre in Covent Garden for only six weeks. But during that time, its nine by six metres will hopefully encourage people to stop and look, and remember the 'Oranges and Lemons' rhyme which, as most readers will know, recounts the sounds of bells in City churches.